Make Up For Ever Aqua XL Eye Pencil Waterproof Eyeliner in M-16, M-40, M-30, M-26, M-92, & I-32. The Make Up For Ever Aqua XL Eye Pencil Waterproof Eyeliner retails for $21US or $25CAN for 0.04 oz / 1.2 g of product. The mini size is literally close to 1/3 the size at 0.01 oz / 0.5g. I got the large ones at IMATS last year for 40% off. 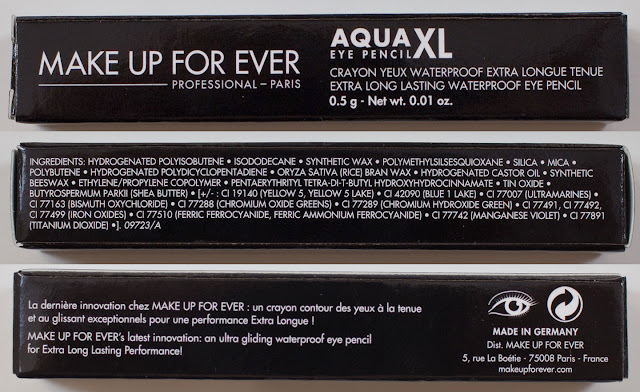 Make Up For Ever Aqua XL Eye Pencil Waterproof Eyeliner in M-40 all have this same info. 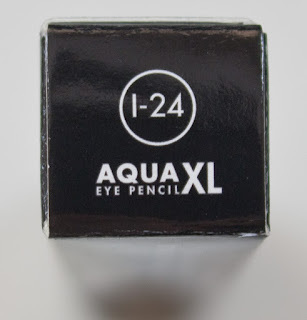 Make Up For Ever Aqua XL Eye Pencil Waterproof Eyeliner box for mini shade and ingredients. 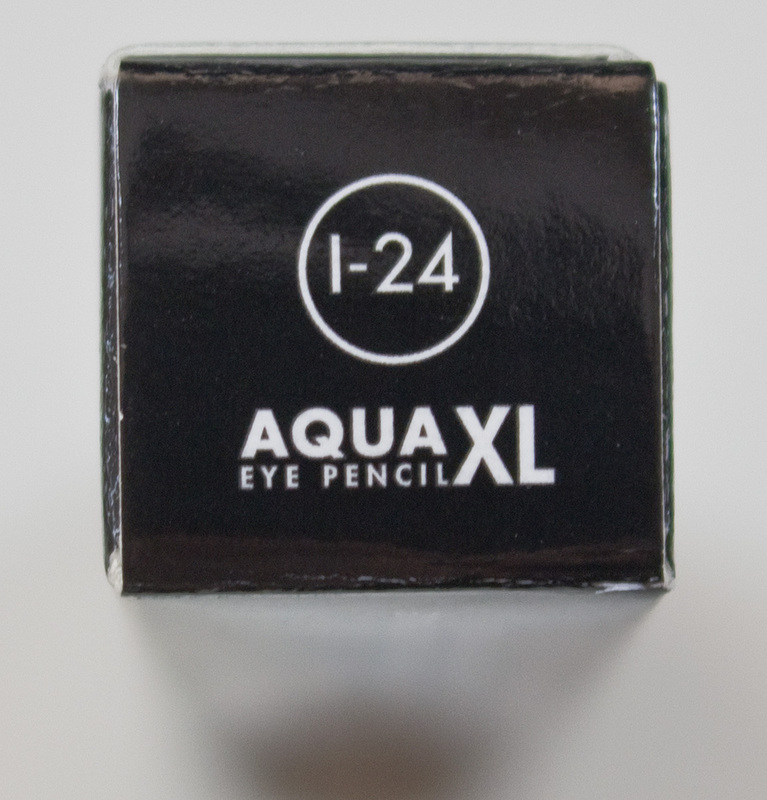 Make Up For Ever Aqua XL Eye Pencil Waterproof Eyeliner in I-32 mini box label. The matte formula for these pastel shades is slightly sheer and dry compared to other MUFE colours I've tried and will tug on your skin slightly. This is due to the nature of the pigments used but gentle layers which give you full coverage in two strokes. The shimmer shade in I-32 is very smooth to apply in one stroke for full coverage colour. M-16 is a true white with a matte finish. M-40 is a pastel yellow with a matte finish. M-30 is a pastel mint green with a matte finish. M-26 is a pastel aqua blue with a matte finish. M-92 is a pastel purple with a matte finish. I-32 is a teal with a shimmer finish. 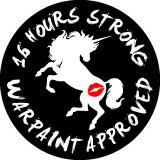 Wear: I get over 16 hours wear on bare skin/eyelid area. My waterline however doesn't like this formula so 3-5 hours max. Packaging: This is a plastic composite pencil that needs to be sharpened. Daylight swatches: M-16, M-40, M-30, M-26, M-92, & I-32, one stroke and blocked out. Flash swatches: M-16, M-40, M-30, M-26, M-92, & I-32, one stroke and blocked out. I do like these mattes even though they are powder/dry colour this is normal when dealing with pastels and they managed to make these perform in a gel formula. 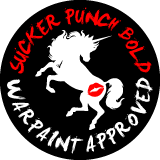 The shimmer shades have always been good so I'm glad to see the updated formula is performing as well as the originals.